Auction Date is April 23, 2019 6:00 p.m. 2-story home with 4 BR, 2 1/2 BA with 1976 sq. ft., 2 car attached garage, New Furnace, 6 panel doors, nice size kitchen with large pantry and plenty of cabinets, chair rail in Dining Room plus crown molding, Living room has large front windows, foyer entrance with coat closet. Wood beams in the Family room and the Kitchen, Family room has a fireplace plus a french door to big patio area. All 4 Bedrooms are up, utl room is in 1/2 Bath on the mail level. Covered front porch. 10 x 10 Shed "NO PRIOR OFFERS" TERMS AND CONDITIONS PROCEDURE: The property will be offered as one complete property. There will be open bidding during the auction as determined by the Auctioneer. 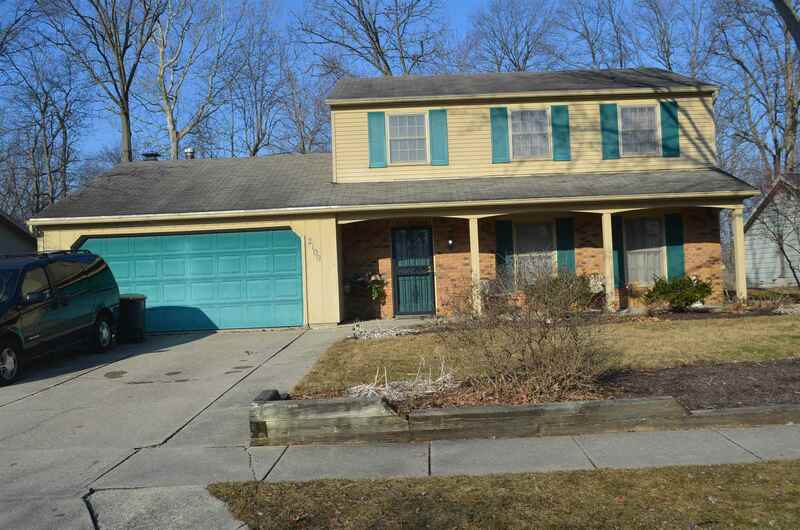 DOWN PAYMENT: $2, 500 down payment on the day of auction with the balance in cash at closing. The down payment may be made in the form of cash, cashier's check, personal check or corporate check. Your bidding is not conditional upon financing, so be sure you have arranged financing, if needed, and are capable of paying cash at closing. ACCEPTANCE OF BID PRICES: The Successful Bidder will be required to enter into a purchase agreement at the auction site immediately following the close of the auction. Seller reserves the right to reject any and all bids. EVIDENCE OF TITLE: Seller shall provide an owner's title insurance policy in the amount of the purchase price. DEED: Seller shall provide a Warranty Deed. CLOSING: The balance of the purchase price is due at closing, which will take place on or before May 31, 2019. Costs for an insured closing shall be shared 50:50 between Buyer(s) and Seller. POSSESSION: Possession shall be on day of closing, immediately following the closing. REAL ESTATE TAXES: The 2019 Real Estate taxes due in 2020 shall be pro-rated to the day of closing. Buyer to pay all taxes thereafter. ACREAGE: All acreage, dimensions and proposed boundaries are approximate and have been estimated based on current legal descriptions and/or aerial photos. SURVEY: A new perimeter survey shall be prepared only if necessary to complete Title Commitment. Seller and successful bidder shall each pay half (50:50) of the cost of any survey. The type of survey performed shall be at the Seller's option and sufficient for providing title insurance. AGENCY: Schrader Real Estate & Auction of Fort Wayne, LLC and its representatives are exclusive agents of the Seller.